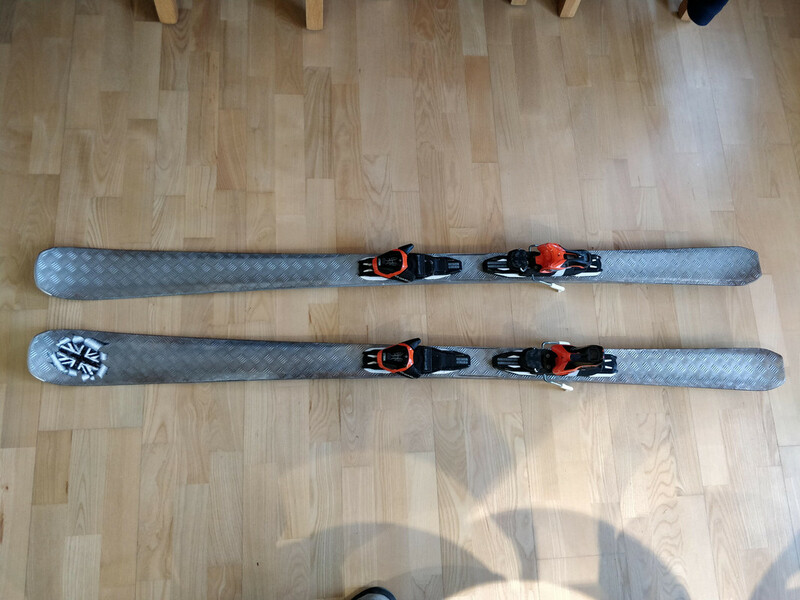 I have a pair of Atomic Vantage X75C skis, they are approx 3 years old and I like them, however after numerous sharpens there isn't a lot of metal left on the edges and they sure have some battle scars, although they don't really show in the picture below. So before they are retired after a couple more sharpens I thought I'd give them a bit of a cosmetic makeover. I've done a fair amount of vinyl wrapping on my motorcycles so used to playing with wraps, although this time I thought I'd go with a metal foil. How long it lasts is anyone's guess. 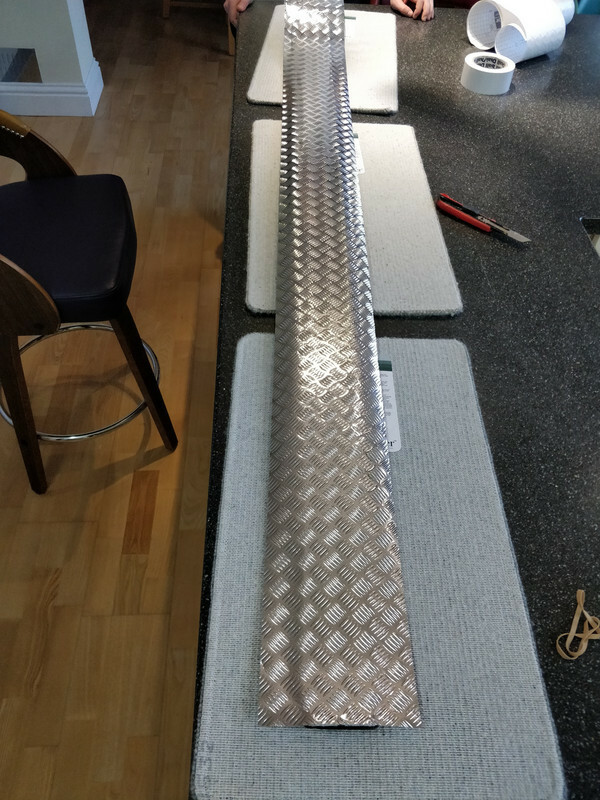 The foil was very shiny so I did a light oversprayed with a grey primer, then a brown spray along the edge to give it the retro/rustic look I was after. At least I'll be able to easily spot them in the ski rack outside a restaurant. 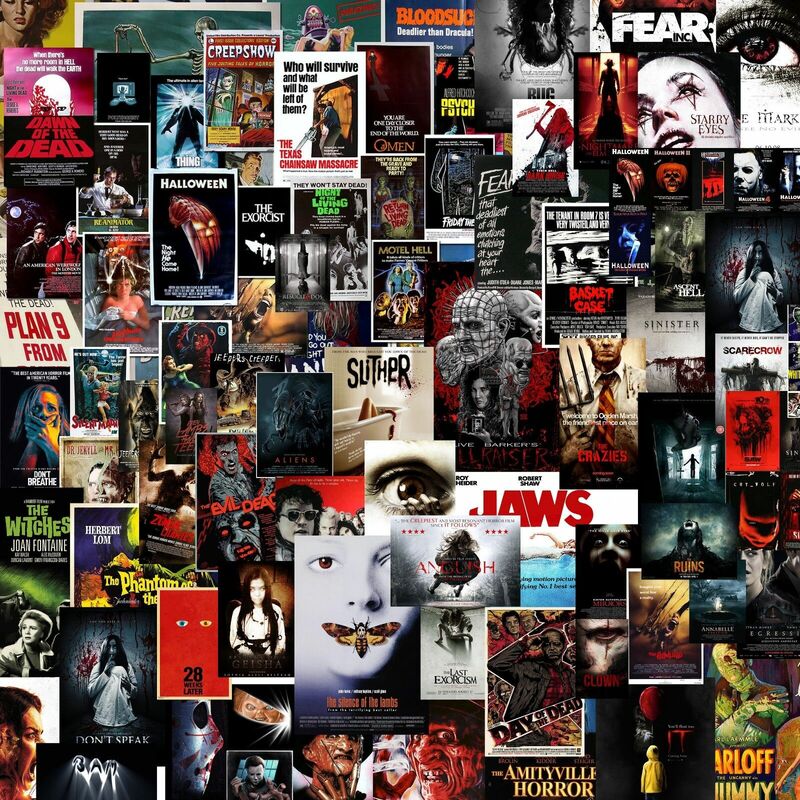 Set up a website, you might have a business idea! @king key, Will we see them at the PSB? Yep........assuming BA don't lose them. Wow. Excellent work! Did the vinyl cost much? My mate recently got a portable laser etcher so I'm getting my Snowheads monika done on my skis before the novelty wears off. Well done @king key that brilliant, love it. OK I'll ask the obvious question - why? As explained in the first post, they are near the end of their life so nothing to lose really (except a few quid and some time). And why not? If they look as if they are made from metal maybe people would be less likely to trample on them in the lift queue. 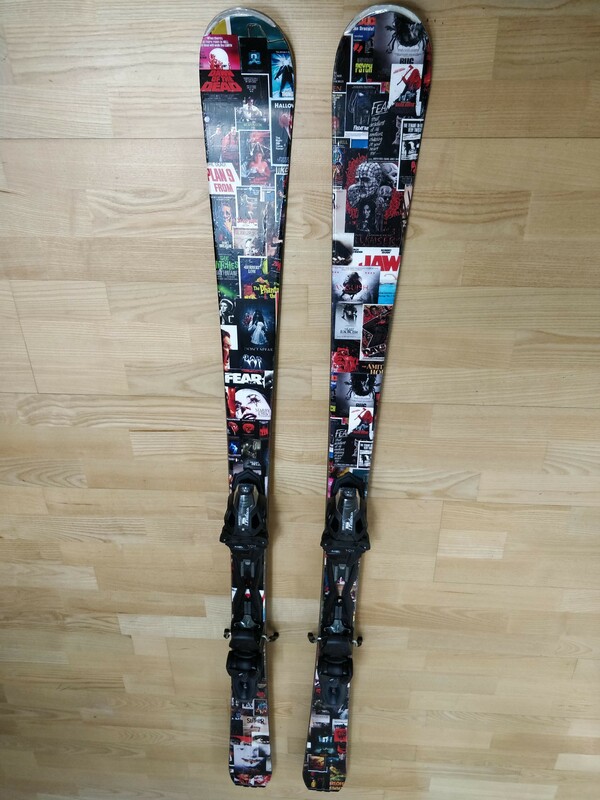 I previously did a similar job on an old pair of skis, which we then used as a guest book at our skiing wedding.....took an old pair of head 88mm under boot all mountain skis and wrapped in a wood effect vinyl and then allowed our guests to sign them using a sharpie (other pens are available). They are now happily hanging on our wall. 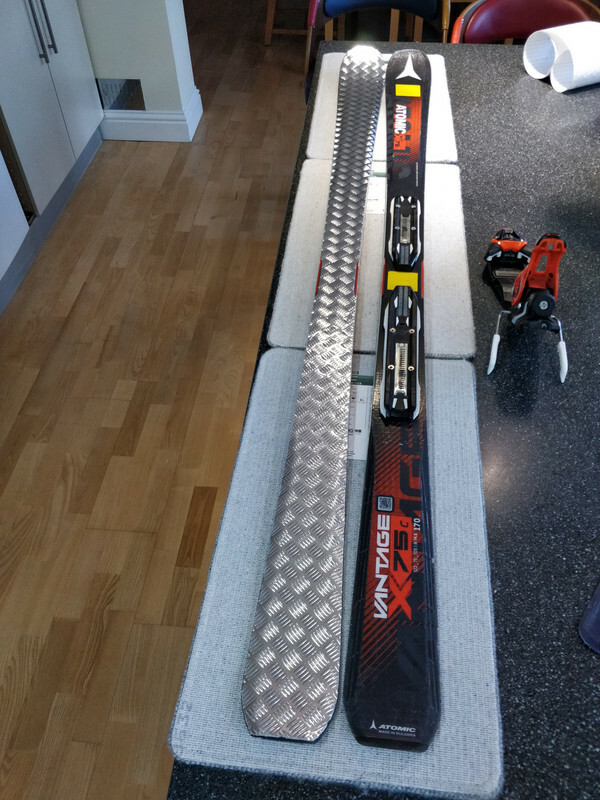 And yes is did trim all the edges properly so I could actually still ski them if I really wanted too, but the wife might be a bit miffed. Think I'd go for a wrap of dog turds on a snowy background for less tramplitude. I'd call that design the Parisian Handbag after the dogs that regularly leave such gifts. It may also reduce the chances of having your skis nicked. 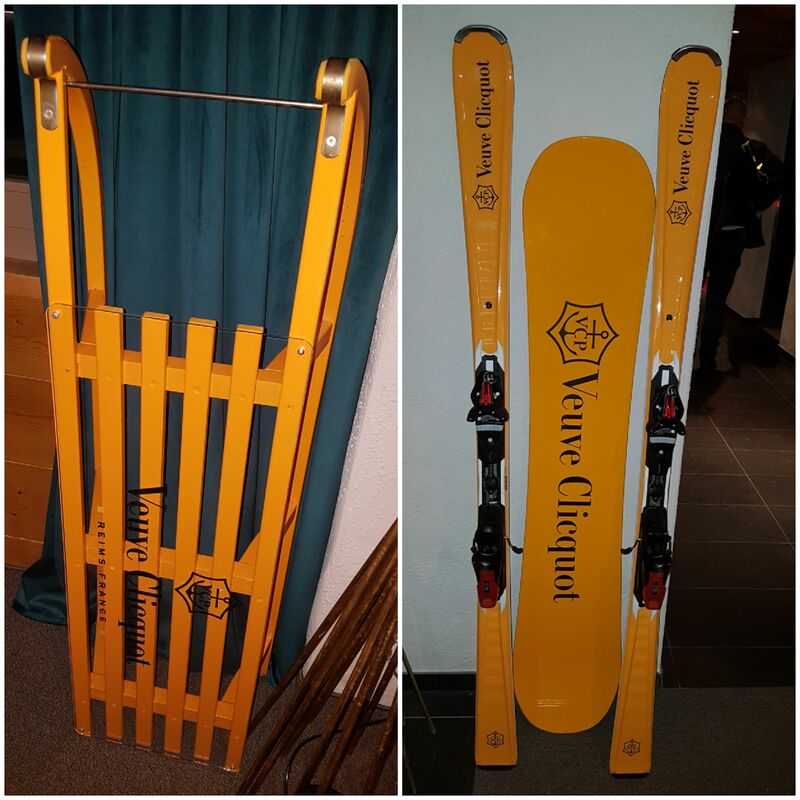 Potential thieves wouldn’t know whether the skis were this years sought after expensive model, or old ‘uns. Plus if they were to nick to them, they’d stand out like sore thumb, being unique. 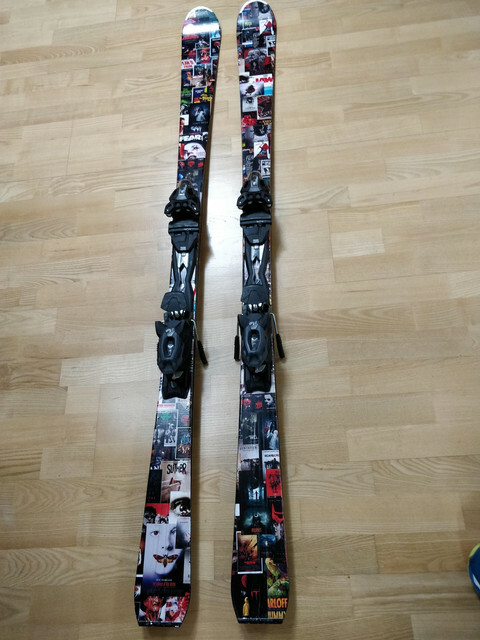 Well, I got a new pair of ski's and wrapped them, pleased with the look.